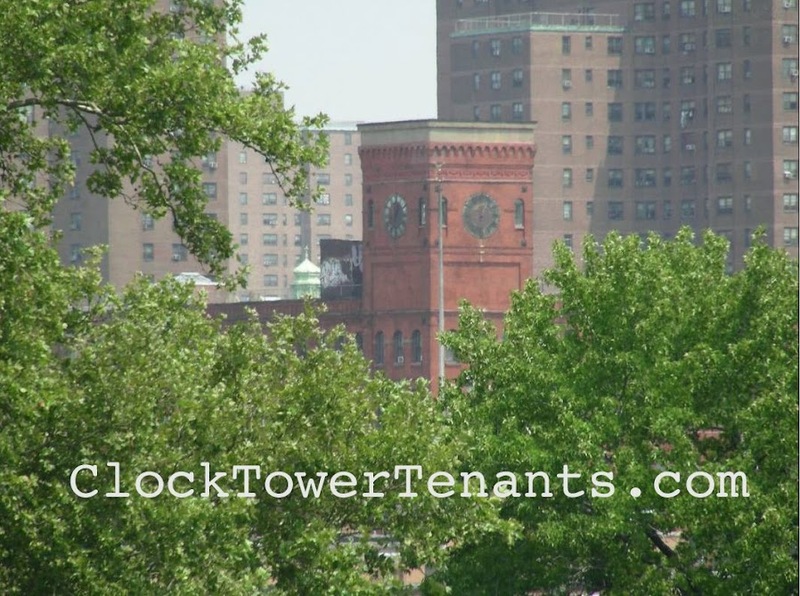 The ClockTower is sited on the northeast corner of Bruckner Boulevard and Lincoln Avenue in the South Bronx, a largely Hispanic neighborhood famous for the birth of hip-hop and where graffiti has been nurtured to an art form. The Landmarks Preservation Commission designated this commercial loft building a New York City Landmark in 2006, and it presently serves as one of SoBro’s most famous art enclaves. 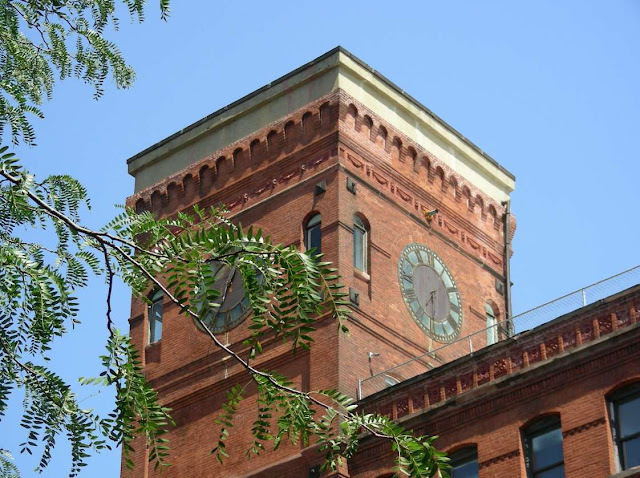 Built in 1886 in the Romanesque-Revival style of the late Victorian era, the ClockTower features arched windows, show-off brickwork and a multistory clocktower from which it takes its name. Today that tower is studio space for a working commercial photographer. Once home to the ESTY Piano Factory, now the modern elevator lobby has been renovated in mirror, glass and tile. But upstairs hallways feature the original maple-planked floors and post and beam timber frame common to the late 19th century. Many lofts enjoy floor-to-ceiling wrap-around windows and all have kitchens, tile baths, commercial ceiling height and expansive floor dimensions. Now music and dance, camera flash, sculpture, culinary, architecture, digital design and the occasional whiff of oil paint permeates this landmark, creating an environment that references its history while looking forward to launching the next big thing. We are the hub of a gritty New York art community. Come live and work with us.